"In-home Prenatal Nutrition Intervention Increased Dietary Iron Intake" by Chiquita Briley, Nicole L. Flanagan et al. 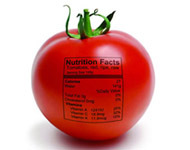 Copyright © 2002 American Dietetic Association. Published by Elsevier Science U.S.A. Used by permission. Reviews of the medical nutrition therapy literature indicate a continuing need to document the specific contribution of the registered dietitian to health outcomes attained (8). In the specific area of prenatal nutrition interventions, Boyd and Windsor (9) concluded there is a need for high-quality prenatal nutrition education programs, including descriptions of program process and content. Published reports of nutrition interventions suggest that programs are more likely to be successful if they are adapted to the particular minority target culture (10) and if they are individualized to the specific client’s needs (11). A continuing need exists for well-documented and effective prenatal nutrition interventions designed to reduce the incidence of LBW among minority populations. The objective of this project was to evaluate an in-home prenatal nutrition intervention designed to prevent LBW among low-income African-American women.